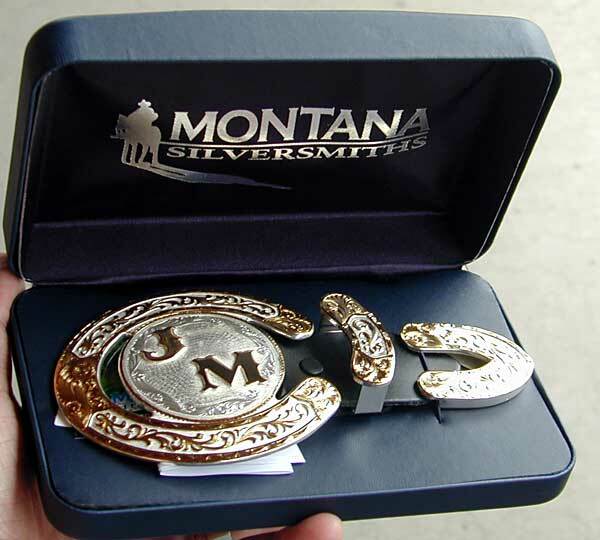 Customizable Black Belt Buckle from Montana Silversmiths. 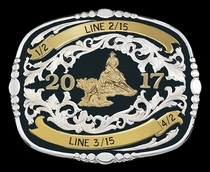 3¼" x 3¾" black belt buckle with a classy silver-beaded border. Click image to enlarge. Includes gold display figure of your choice and date trim. Shown with Cutting Horse figure #4. 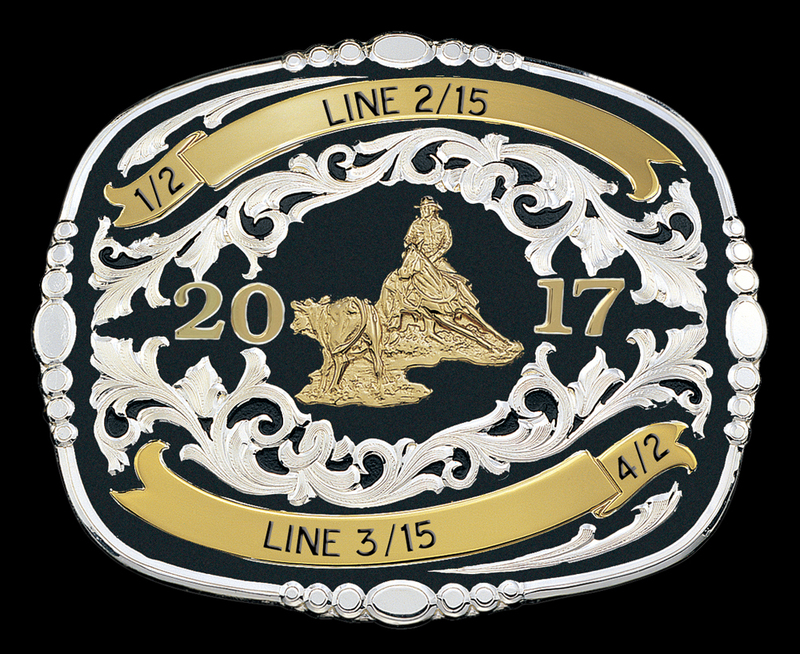 This black belt buckle has four gold ribbons which may be personalized with your engraving. 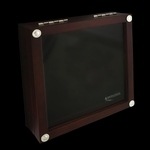 Enter your engraving and other options in the form below, then click the >>Calculate Cost<< button. Finished in legendary MontanaArmor, which is tarnish-free and very rugged. Read our Frequently Asked Questions. Orders of 10 or more qualify for further discounts.